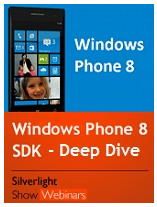 I recently delivered a webinar for SilverlightShow titled “Deeper Dive into the Windows Phone 8 SDK” The recording of the webinar is now available on-demand. Continue reading below for more information on what topics were covered. This session is a deeper dive into the Windows Phone 8 SDK. We will dive right into Near Field Communication (NFC) Native Code (C++) In-App Store purchases and Wallet transactions. 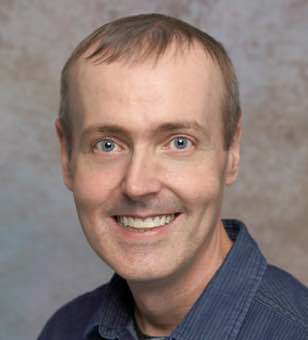 We will also look at what it takes to leverage the new Maps introduced in the Windows Phone 8 SDK. So if you already have a basic knowledge of Windows Phone 8 and want to dig deeper than this session is for you.